Rediff.com » Movies » Gosh! Is that Salman Khan? Bharat's first poster was unveiled on Instagram by its lead star who wrote: 'Jitne safed baal mere sar aur dhaadi mein hain, usse kahin zyada rangeen meri zindagi rahi hain! #Bharat'. Bharat is an official remake of the 2014 South Korean film Ode to My Father. 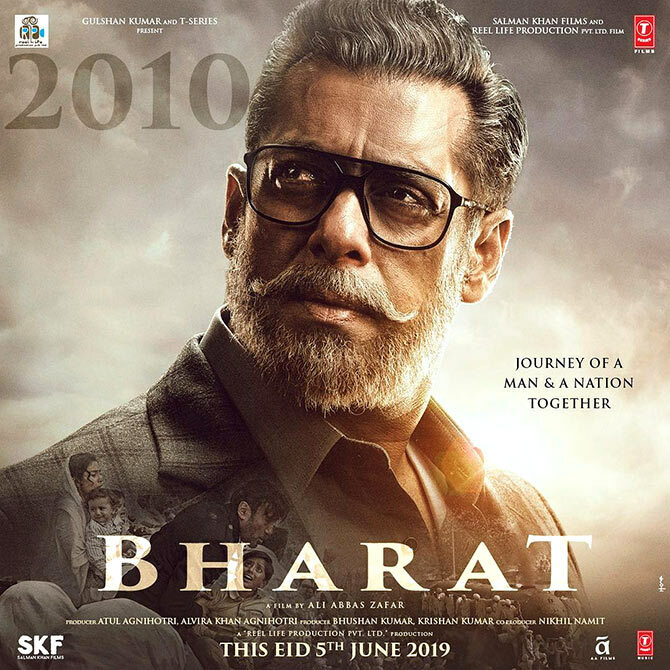 Directed by Ali Abbas Zafar and produced by Salman's brother-in-law Atul Agnihotri, Bharat also stars Katrina Kaif, Disha Patani and Sunil Grover, and releases this Eid, June 5. 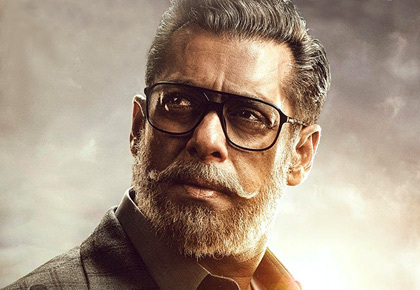 Like Salman's patriotic act in Bharat teaser?